A selection of catered chalets located throughout various areas of Val dIsere. All great for ski access and resort centre amenities. Available with flights and transfers included. Looking for a catered chalet in Val dIsere for your next ski holiday? We offer a small selection of catered chalets located in Val DIsere Please take a look below to see our selection of our properties, and please send us an email or give us a call for further details. 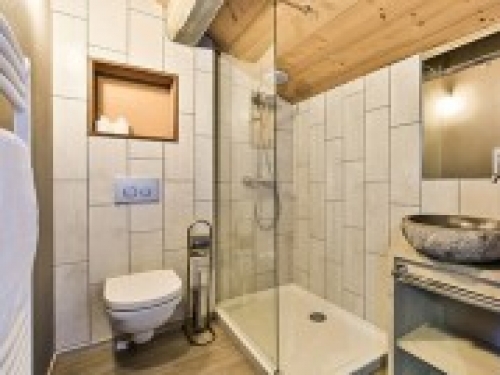 We can help you find an available chalet based on your preferences. Chalets on a catered basis WITH flights and transfers included. Chalet 984a = Sleeps 14 in 6 bedrooms, located 8min walk from the skiing and 5 minute walk to the resort centre. Prices from £970pp Chalet 984b = Sleeps 10 in 4 bedrooms, located 500m from the lifts and from the resort. 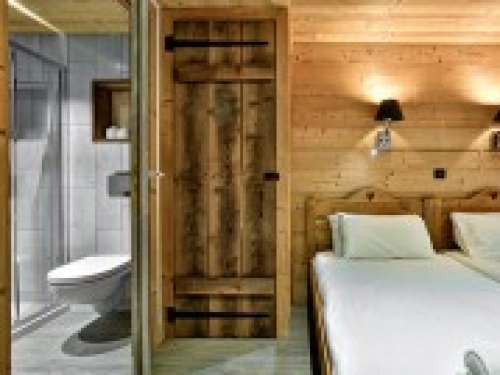 From £903pp Chalet 984c = Sleeps 15 in 5 bedrooms, located 150m from the piste and 800m to the centre. From £882pp Chalet 984d = Sleeps 9 in 4 bedrooms, located 200m from the skiing and 10 minute bus ride from the centre. From £578pp Chalet 984e = Sleeps 19 in 10 bedrooms, located 300m from the skiing and in the resort centre. From £795pp Chalet 984f = Sleeps 33 in 13 bedrooms, located 400m from the skiing and 400m from the resort centre. From £548pp 7 nights accommodation on a catered basis including flights and transfers Prices are based on "from" typical price and dependent on availability. Photos are of all properties - please contact us to request an information sheet for your particular chosen property. Distance to from resort and lifts is based on closest property within this group - your information sheet will detail distances for the quoted property. Facilities and amenities are dependent on each property and do vary. Not all facilities listed on this webpage may be aviailable on all properties. Please check your information sheet before confirming. Pricing and "whats included" can change dependent on what is available at the time. All information given at the time of booking supersedes this information. Please check the relevant information upon booking.